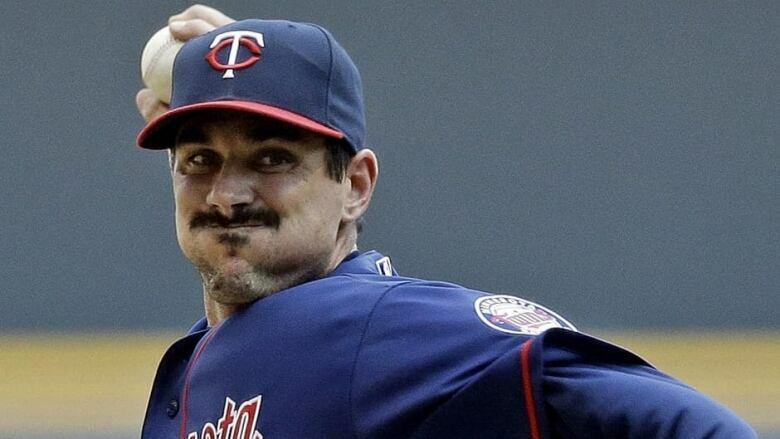 Pitcher Carl Pavano is in a Connecticut hospital following the removal of his spleen. He was injured when he fell in snow at his home in Vermont. Carl Pavano's spleen was removed last week after the pitcher was injured when he fell in the snow. The 37-year-old right-hander was hurt in mid-January at his home in Vermont and has been in a Connecticut hospital for nearly two weeks. "He lost a lot of blood. It was very, very serious," agent David Pepe said Monday. Pepe said Pavano didn't think he was seriously injured after the fall, then didn't feel well following a workout a few days later in Connecticut. "He felt bad enough that he went to the hospital and he ended up getting admitted, and they realized he had a lacerated spleen," Pepe said. "They tried to control the bleeding. They did all they could to not take it out and, unfortunately, he didn't stop bleeding and he's been in the hospital since." Pepe hopes Pavano will be released from the hospital this week. He would not put a timetable on the free agent's possible return to baseball. "To be quite honest, I think he's very fortunate that he caught this thing. He had the presence of mind to go to a hospital," Pepe said. "It could have been a lot worse. He's just got to get his strength back and worry about baseball later." Pavano spent the past 3 ½ seasons with the Minnesota Twins, going 2-5 with a 6.00 ERA in 11 starts last year. He didn't pitch after June 1 because of a strained right shoulder. A heralded free agent after the 2004 season, Pavano signed a $39.95 million, four-year contract with the New York Yankees but then was sidelined by injuries to his shoulder, back, buttocks, elbow and ribs and became a target of criticism for Yankees fans and New York media. He went 9-8 with a 5.00 ERA in just 26 starts over the four years. Pavano's career revived after he left New York. He went a combined 14-12 for Cleveland and Minnesota the following year, then was 17-11 for the Twins in 2010 before sliding to 9-13 in 2011.